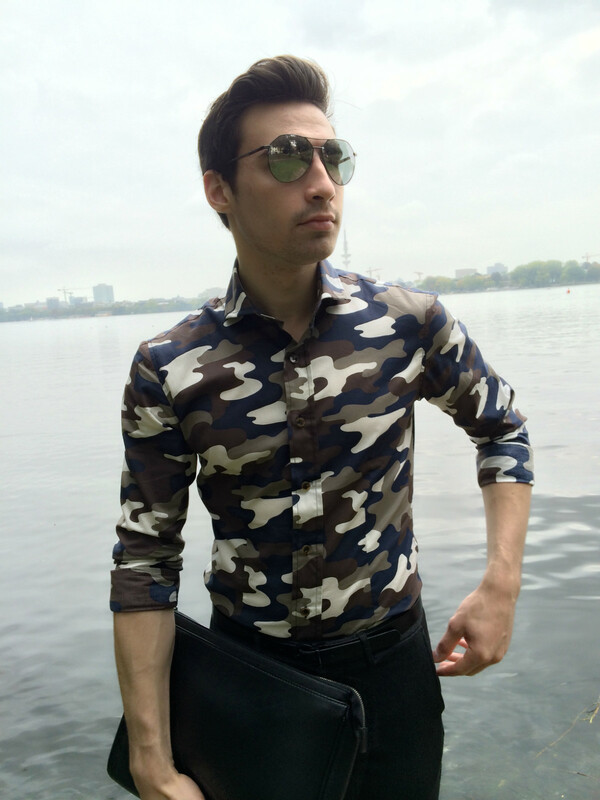 If you have already seen some of my previous posts then you know that I’m a huge supporter of camo. 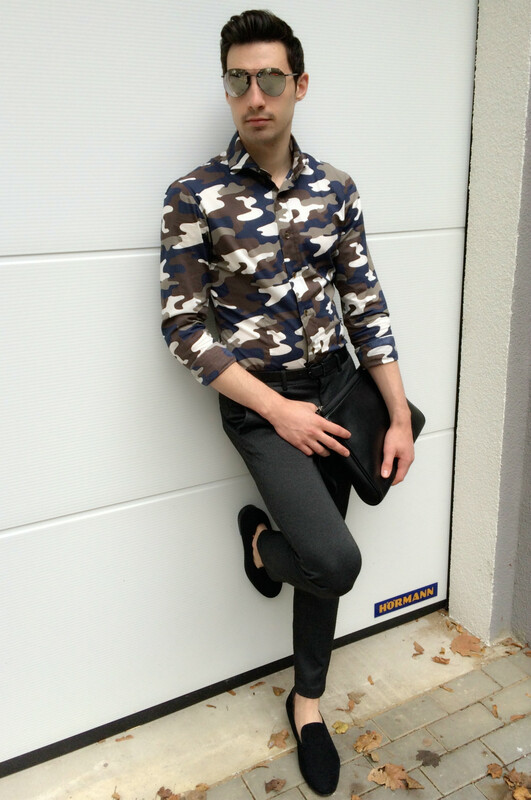 Todays outfit consists of a slim fitting camo print shirt from Neill Katter. 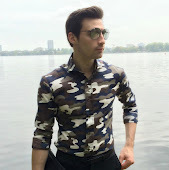 For those of you unfamiliar with Neill Katter, it is an italian brand that does an amazing job bringing unique fabrics and prints to modern tailoring. You can visit their official website and view their new Autumn/Winter collection here. 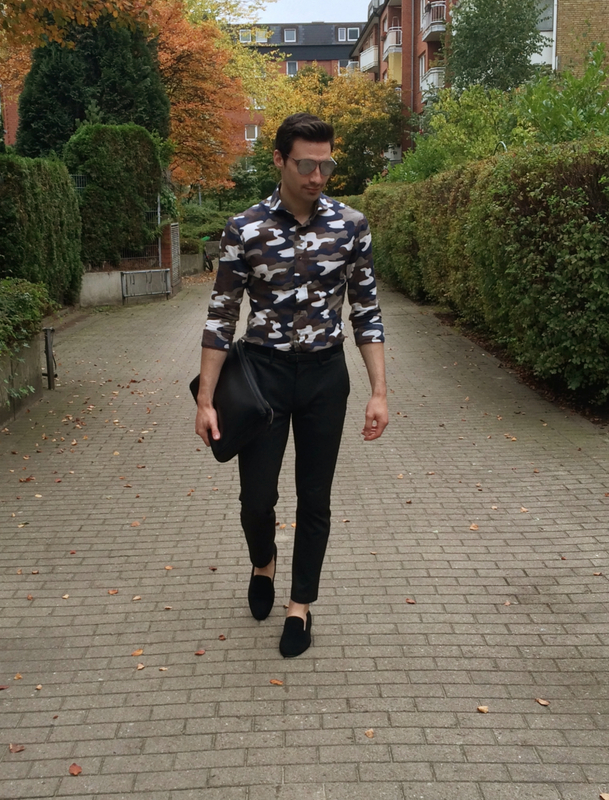 I made sure the shirt was the focal point of this outfit and kept everything else very simple. 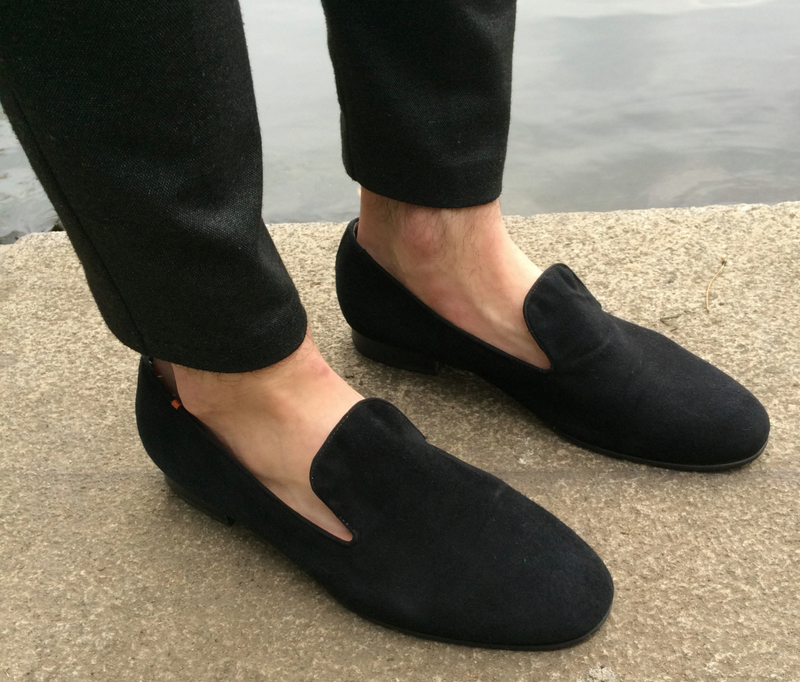 Grey trousers and black velvet slippers finished the look. Have a great weekend!